The country’s Citizens’ Revolution continues to trail blaze in LGBTI rights. Ecuador’s first transgender lawmaker is set to take office on Sunday, marking an important milestone for the advancement of LGBTI rights in the South American country. Diane Rodriguez, 34, will serve as an alternate lawmaker for the National Assembly and will help legislate for the next four years until 2021. She will act as a primary lawmaker in the absence of a member of the 137-seat legislative body. 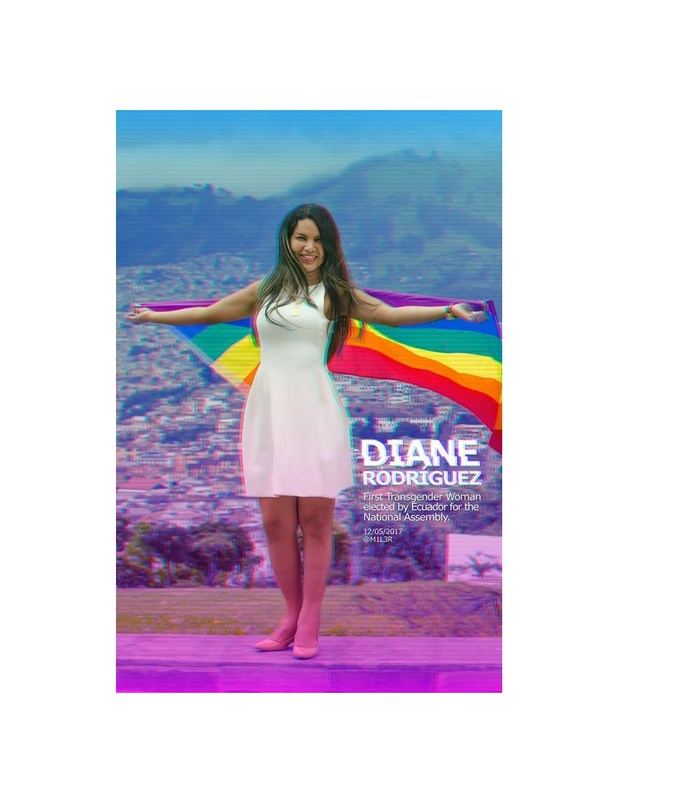 Rodriguez campaigned under President Rafael Correa’s party, Alianza Pais, since it backs many of the pro-LGBTI changes she fought for as an activist, she told teleSUR in a recent interview. A trained psychologist, Rodriguez heads the Ecuadorean Federation of LGBTI Organizations, which announced its support for President-elect Lenin Moreno. She said the democratic socialist party was the only one within the political arena to actively support trans rights. “I have prepared to hold any political office, I am not a person who only wants to participate politically, I am very clear and very aware that if I am going to have access to power and above all the political arena I must be prepared,” said Rodriguez. One of the main achievements under the 10-year administration of Correa was the passage of a 2016 law allowing people to choose their preferred gender on their ID cards. Correa’s administration also issued new protections for transgender people under a communication law designed to prevent discrimination. This was done with the help of the Ministry of Education and the Ministry of Labor. Rodriguez worked to change ID laws to include her new name and chosen gender, allowing transgender people to vote in their respective gender-based booths. In a country of 16 million people, at least six openly gay candidates ran for office this year. Rodriguez, who married another transgender person with whom she shares a child, has been the target of several threats and attacks towards herself for her outspoken activism. She was kidnapped in 2012 and held at gunpoint in 2014. During the last election, she denounced a death threats made against her for criticism of right-wing opposition presidential candidate Guillermo Lasso, whom she openly called out for his anti-LGBTI stance. “I’m working for peaceful, secure, progressive and productive Ecuador, an Ecuador that is attractive to tourism, which can be an example as it has been internationally,” said Rodriguez.